The New York State Canal Corporation has announced the operational hours and dates for the 2019 Navigation Season for the entire canal system. Boaters are advised that, conditions permitting, all portions of the New York State Canal System are scheduled to open Friday, May 17, 2019, at 10:00 a.m. for the 2019 navigation season. There will be no tolls or fees for recreational use of the Canal System in 2019. • May 17 to October 16: 7:00 a.m. to 5:00 p.m. In addition to the structures listed above, Locks E-2 through E-6 and Guard Gate #2 in the Waterford Flight as well as Locks E-21 and E-22 will operate on demand from 7:00 a.m. to 10:00 p.m. from Thursday through Monday from May 17 to September 11. During the same period, the hours of operation for the Waterford Flight will be 7:00 am to 6:00 p.m. on Tuesdays and Wednesdays. Due to roving operations, some delays may be experienced during certain periods in the Waterford Flight. Vessels will be admitted through structures if arriving prior to scheduled closing. Vessels arriving at Lock CS-2/3 in Seneca Falls or Lock E-34/35 in Lockport from either direction prior to scheduled closing will be admitted through both chambers. Vessels arriving westbound at Lock E-21 in New London or arriving eastbound at Lock E-22 in Verona prior to scheduled closing will be admitted through both locks. Vessels arriving southbound at Lock C-4 in Stillwater or arriving northbound at Lock C-3 in Mechanicville prior to scheduled closing will be admitted through both locks. Vessels arriving at the Waterford Flight from either direction prior to scheduled closing will be admitted through the entire Flight. Erie Canalway commissioned this study in part to determine the impacts of tourism throughout the Canal Corridor. The analysis was conducted by Level 7 Market Research and supported by a grant from Market New York through I Love NY. 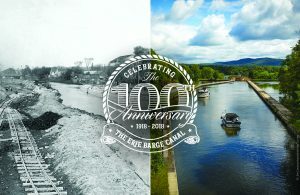 Over the last 10 years, the number of events along the Canal system has increased dramatically to include concerts, art festivals, cycling and paddling events as well as celebrations of local foods and beverages and events that focus on history and heritage. The NYS Canal Corporation website calendar listed more than 470 events. The Erie Canal from Waterford to Brewerton is scheduled to open on May 15th. weather permitting with the entire canal system scheduled to open on May 18th. For the full Canal Event Analysis and Visitor Research Study, click here. 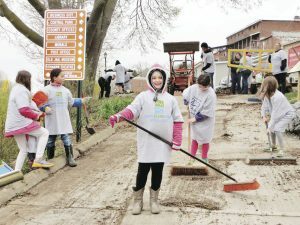 Each year to correspond with Earth Day, communities and organizations up and down the Canal organize to clean the banks of the Canal This year 38 separate events are scheduled. This event now in it’s 8th. year continues to grow in size. 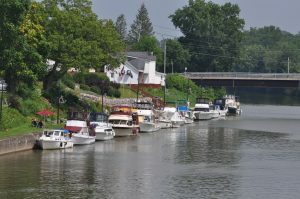 For the second straight year fees for recreational boaters are being waived for all recreational boaters on the Erie Canal Season. That’s the good news, of course that notice came out right after the notification from the New York State Canal Corporation related to the once again shortened schedule for the 2018 navigation season. The revised schedule is posted here. It is very important that the recreational boaters of the region get out on the water this year, the only way to the Canal Corporation and it’s parent the NY Power Authority will return to a full navigation season is by the boaters and the communities along the canal getting out on the water, attend the waterfront events, use the locks. A record is kept of every lock through done on the entire system. If you’re concerned because the locks in your community are only open to 5, get out and use them. The amount of locking’s in any specific lock is the only way the Canal Corp. can determine the boat traffic in a particular area. We welcome your comments on this years schedule. All comments will be forwarded to the Canal Corporation. 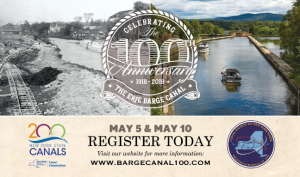 The Erie Canal, the eighth wonder of the world is currently celebrating the bi-centennial of its creation. It is one of the greatest tourist destinations in the world and it might be the most underutilized recreational resource within New York State. Organizations such as Canal NY actively work to promote the system as well as the businesses within the Erie Canal Corridor. 2)Enhance economic impact throughout the communities within the Erie Canal Corridor. It’s all about the water right, and getting out on the water is the number one way to experience the canal. People utilize the canal in three ways. People looking to visit the Canal can take advantage of day trips provided by tour operators, or even rent a boat for a week or more and chart their own course on the Canal. The biggest challenge to boating the canal is time, the time necessary to experience the Canal. 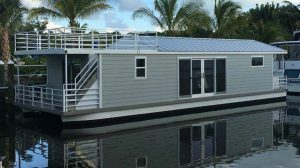 The idea of encouraging the use of floating homes along the Canal system to allow for more tourists to travel to and experience the Canal is exciting. What if these marinas had the ability to fill their slips, maybe even utilize areas of these facilities that have proved difficult in the past, such as those areas that have access issues or low water depth. 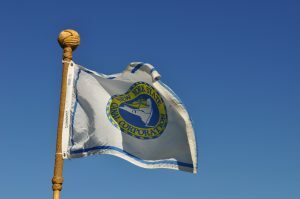 What about marinas located in areas where transient boaters typically have passed them by? What about areas of the Canal that have been totally ignored by companies investing in similar businesses. Are there portions of the Canal that the State would like to see economic impact improvements within? Are there locations which once housed marinas that could be re-opened. These marinas could be much simpler to construct. 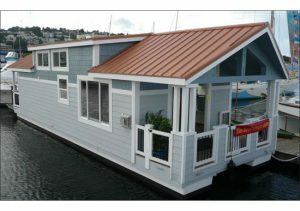 They wouldn’t need fueling infrastructure, they wouldn’t even need to be constructed with travel lifts, the floating homes could be easily lifted out of the water after the season by the use of a crane hired for a day to lift out all the boats and place them on shore, same process could be done in the spring. Boats could be built with lift points built in place to simplify the process. These boats could also be placed in areas that have been identified as flood plains and other areas where construction has proved to be challenging! Sanitation for these boats could be built using a site wide pump out system connected to either a municipal sewer system or onsite treatment plant. The technology even exists to install a system that incinerates all liquid and solid waste and the results are a small amount of sterile ash that can be removed once a week or so for those areas that are truly remote. The Canal systems could easily accommodate 100 boats or more throughout the 524 miles of waterway. Each of these boats could generate thousands of dollars annually to a marina from docking and storage revenues. Organizations which wanted to own and operate rental units could be placed in systems such as Airbnb or VRBO. Boats placed in marinas could generate additional revenue such as pontoon or fishing boat rentals, or create opportunities for marinas to update their facilities like adding a workout room or maybe even a pool. 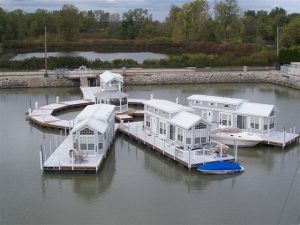 Another version of a floating community is located in Clinton Ohio at a marina just off of Lake Erie, these floating homes are set up a little different and allow each owner the ability to park a boat adjacent to their floating homes as part of their monthly slip fees. The Erie Canal, often referred to the NYS Barge Canal includes 524 miles of navigable waterways throughout NYS. 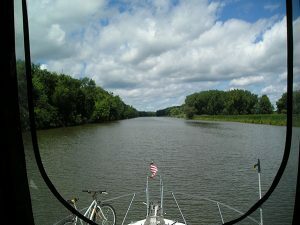 The Canals that make up the Erie Canal System include the Cayuga / Seneca, The Champlain, The Oswego and the Erie itself. These 4 Canals allow for travel from inland NY to anywhere in the world. The 4 individual canals today total 524 miles of navigable waterways. There are currently 55 locks and 18 lift bridges amongst the Canals. Total lift is 568’ and the largest lift is lock at Little Falls with 49’of lift. It is also the only lock on the system that uses a drop door instead of the standard swing doors used elsewhere. The flight of 5 which consists of locks 2-7 just west of Waterford is the greatest elevation change on any navigable waterway in the Western Hemisphere. The Erie Canal is currently listed on the National Register of Historic Places, and is also a National Park Historical Site. The Erie first envisioned in the early 1800’s by NY’s then governor Dewitt Clinton was first dismissed as crazy and was referred to early on as Clinton’s Follies. Hope was that the Federal Government would help fund the project, but that never happened and New York State went it alone. Construction began in 1817 and was completed in 1825 at a cost of $8 million dollars, the Canal ended up paying for itself in less than 8 years. New York City soon became the largest port in the United States as a direct result of the construction of the Erie Canal. The opening of the canal in 1825 allowed for goods and people to be shipped in half the time and at one tenth the cost of the conventional methods of the time. The Canal has evolved throughout the years from what was originally referred to as Clinton’s Ditch where mules walked the tow path towing barges and boats up and down the canal. The advent of mechanically powered vessels allowed for the use of the lakes and river sections which continued to speed travel along the Canal. The final version of the Canal was opened in 1915 and is what we travel on today. The infrastructure visible along the Canal today is the same technology that was designed and built back in 1915 and still amazes visitors to the Canal each day. New York State understood the value of the Canal when it guaranteed its continued existence by amending its constitution in 1938 during a constitutional convention. Continues to be used for commercial shipping albeit in a limited fashion. It is used as a source of water for agricultural purposes, it is used to generate electric through it’s more than 2 dozen hydro-electric power plants scattered throughout the Canal System. The Canal is also used as a very important means of flood control. Today the greatest use of the Canal System relates to tourism. The Erie Canal passes through 5 of NYS’s travel regions. Whether Boating, Bicycling, Hiking or Road Tripping through the Erie Canal System, the opportunities are virtually limitless. The Canalway trail is now more than 75% complete, NY has committed to completing 100% of the trail by 2020. Boaters have access to the 524 miles of waterways, with marinas throughout the system available for transient and seasonal docking or the many communities that open their doors to boaters many with free docking, free electrical, wi-fi, bathrooms and shower facilities. The Cayuga/Seneca connects the Erie Canal to the two largest Finger lakes. From Fishing to Wine tasting those lakes offer boaters and visitors alike world class opportunities for enjoyment. The Oswego Canal connects the Erie Canal to Lake Ontario and beyond. The Lake Ontario region offers visitors World Class Fishing, and the ability to travel by water to Canada and beyond. The Champlain Canal region is steeped in history dating back to the formation of the United States. Allowing travelers to transit from the Hudson River to Lake Champlain and onto the Chambly Canal.